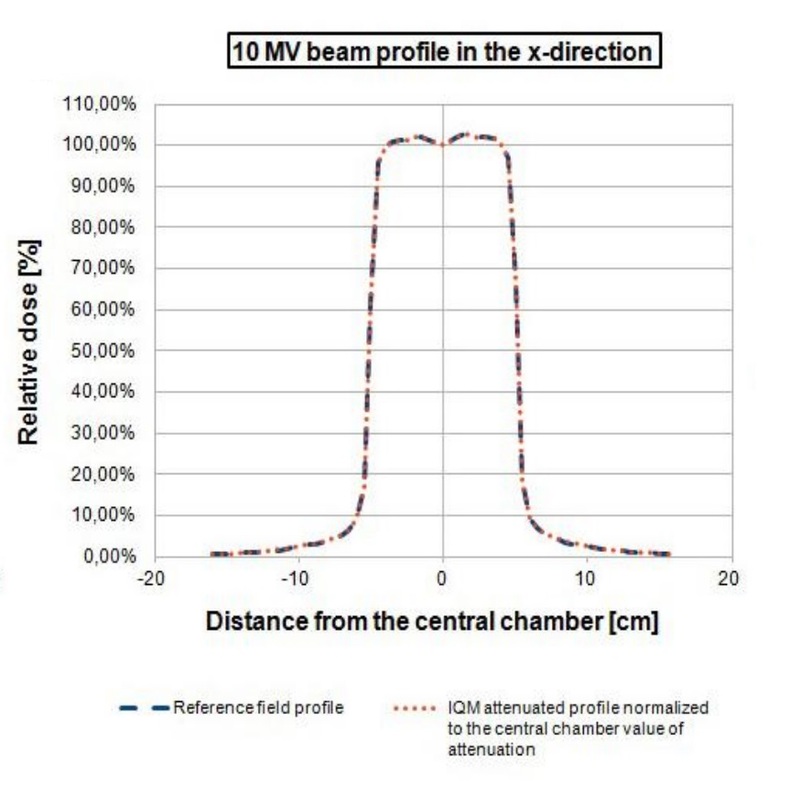 Beam attenuation was calculated at 4 different beam sizes (from 5 cm x 5 cm to 20cm x 20 cm) by the IC Profiler (Sun Nuclear Corp.) at 6 MV and 10 MV beam energies in both X and Y directions. 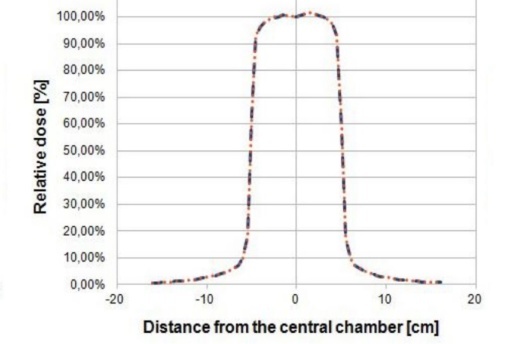 Beam attenuations were normalized to the central chamber of the IC Profiler. 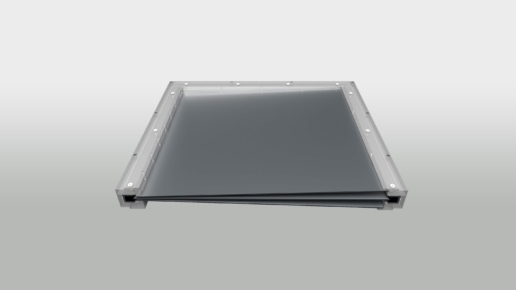 The average attenuation value was 6.56% ± 0.03% and 5.27% ± 0.12% for 6 MV and 10 MV beams, respectively. Flatness deviation is < 0.4 % for 6 MV and < 0.1 % for 10 MV excluding the beam penumbra regions. 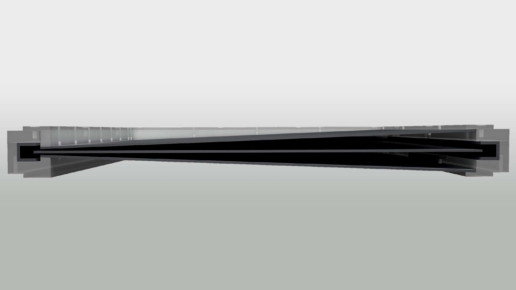 The beam profiles in the X direction for a 10 cm x 10 cm field are depicted in Figure 2 for 6 MV (Figure 2a) and 10 MV (Figure 2b) beams. 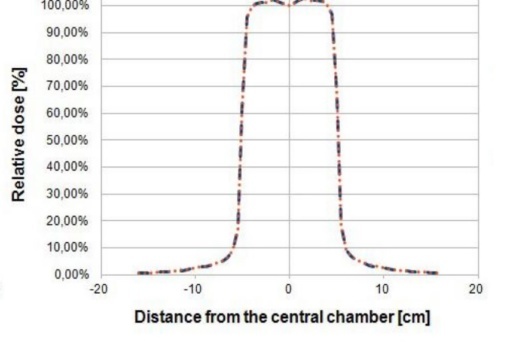 The reference field profile (blue line) is plotted with the IQM attenuated field normalized to the central chamber attenuation value (orange line). 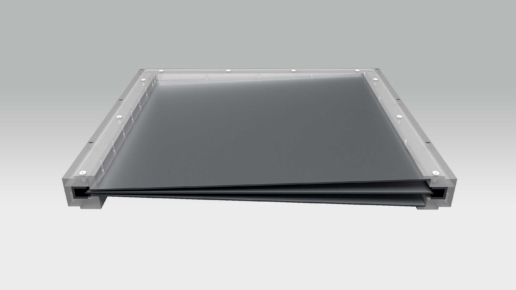 Beam profiles in the X directions for a 10x10 cm2 field for 6 MV photon beam. The reference field profile (blue line) is plotted with the IQM attenuated field normalized to the average attenuation value (orange line). Beam profiles in the X directions for a 10x10 cm2 field for 10 MV photon beam. The reference field profile (blue line) is plotted with the IQM attenuated field normalized to the average attenuation value (orange line). 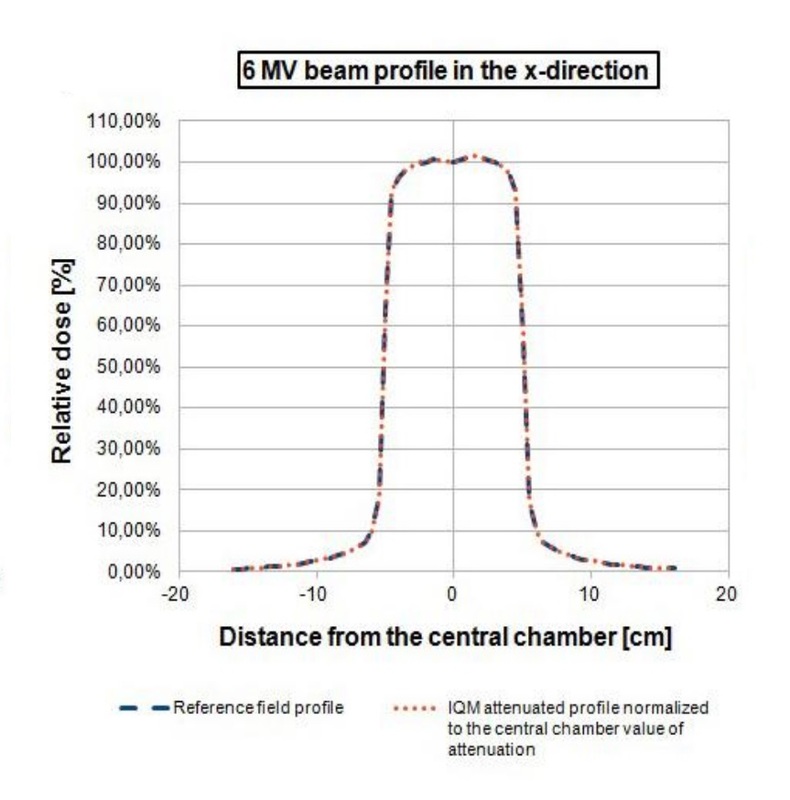 IQM beam attenuation can be considered to be homogeneous in both X and Y directions and the machine-specific beam attenuation percentage could be used to rescale treatment plan dose for clinical IQM use.